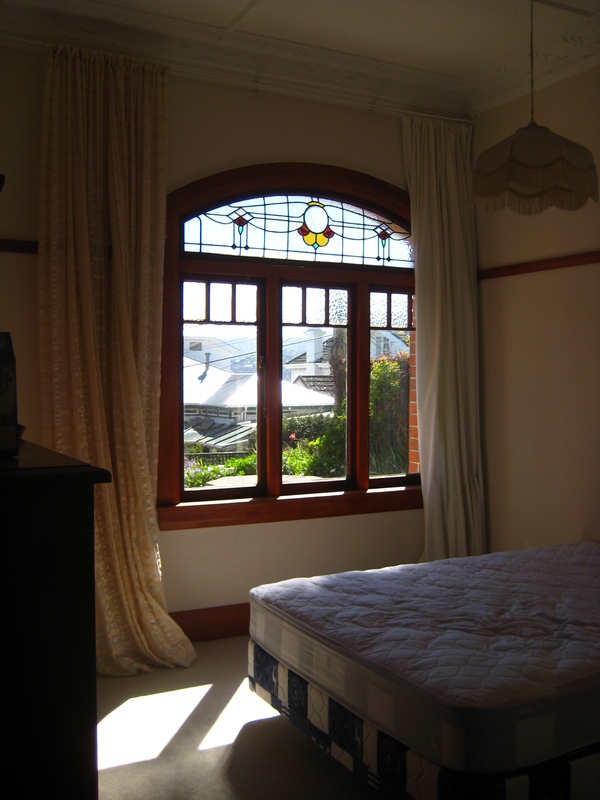 After a lot of house-hunting upon our arrival in Wellington, we found a great room in a big old house in Mt. Victoria, a neighborhood on the southeastern edge of the main commercial district. It is, as its name implies, on a bit of a incline, so we’re guaranteed good exercise every time we leave the house. Since the room wasn’t going to be vacated until the following weekend, we went back into the country for the three days’ wait. 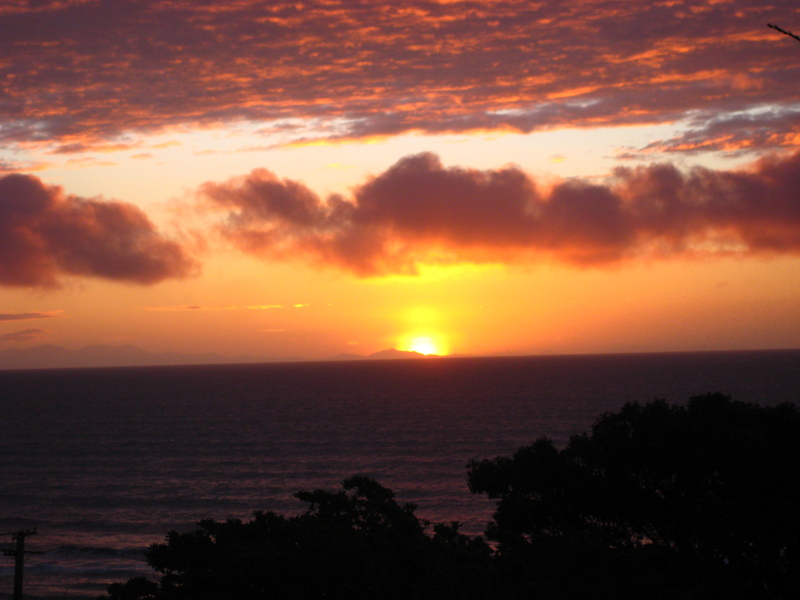 We stayed in Paekakariki, less than an hour’s drive north of Wellington on the Kapiti Coast. It was an adorable little town, with a grand total of maybe seven shops and restaurants, and our hostel had an amazing view of the beach. Then we moved into our home for the next couple months! Our room itself is stunning – high ceilings with gorgeously patterned crown molding and two stained glass windows, one of them the size of a door. The house is pretty big, with a half-dozen housemates, most of whom we’ve met by now. It’s a pretty transient group, with a lot of international travelers. This entry was posted on September 16, 2008 at 9:54 pm and is filed under Uncategorized. You can follow any responses to this entry through the RSS 2.0 feed. You can leave a response, or trackback from your own site. Ooooh… A Room With a View…exciting! Careful not to get swept up in the heathen romance of the natives!